During this intensive silent retreat, participants will learn to develop their heart’s capacity for liberatory clarity and pervasive tenderness with a unique integration of Vipassana (insight) and Metta (lovingkindness) practices. Michele and Jesse are enthusiastic about supporting yogis with a depth of both technical rigor and spacious ease. 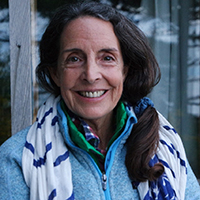 Yogis will be supported by daily instruction periods with time for questions and answers, individual interviews with both teachers, nightly dhamma talks, a vigorous schedule of sitting and walking meditation, as well as free time in the afternoons to silently explore the beauty of the landscape on their own. Come experience the richness of quietude in the beautiful Vallecitos wilderness while cultivating the wisdom of Vipassana and the tenderness of the 4 Brahma Viharas: Unconditional Love, Compassion, Appreciative Joy, and Equanimity. As a teacher of Vipassana (insight) meditation and other meditation practices from the Theravadan Buddhist tradition, Jesse aims to inspire the skills, determination, and faith necessary to realize the deepest human freedom. He is a student of Michele McDonald’s and was trained and authorized by her to teach. His approach is rooted in the tradition of Mahasi Sayadaw of Burma and encourages an exploration of the relationship between ethics, insight, and action. 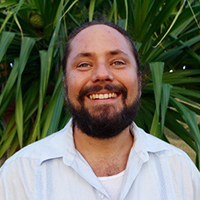 He is the resident teacher forVipassana Hawai’i and when off-island teaches mostly in the US and Canada.